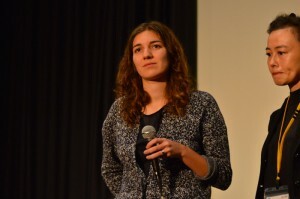 A talk show by Ms. Maureen Fazendeiro, who directed “Motu Maeva”. 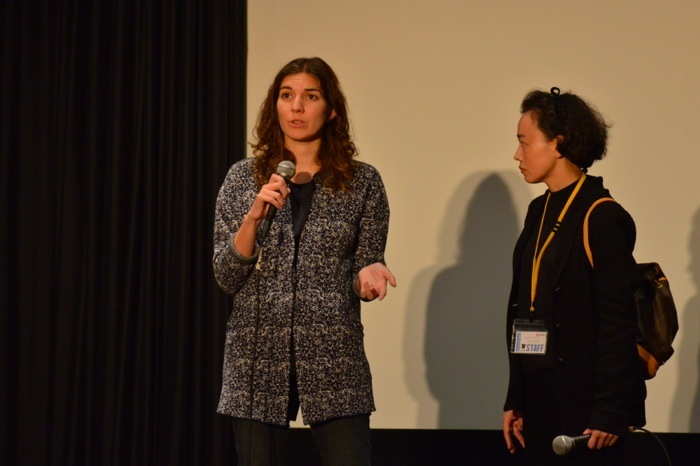 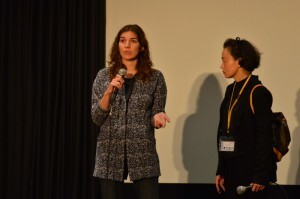 Sunday, November 22nd 2015, at 10 a.m. at Yokogawa Cinema, the film ‘Motu Maeva’, directed by French filmmaker, Maureen Fazendeiro, was screened and afterwards, a talk show with Ms. Fazendeiro was held with moderator Daisuke Akasaka and interpreter Makie Yoshida. 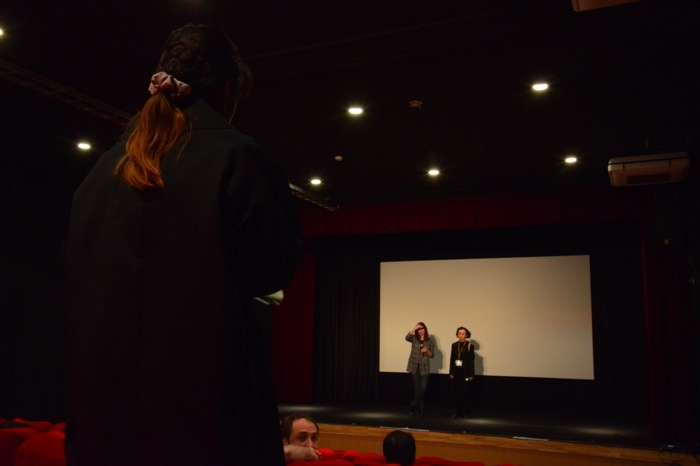 Finally, Mr. Akasaka asked Ms. Fazendeiro whether she already has a plot for her next film? Ms. Fazendeiro replied with her vigorous voice, “Of course I have!" We are looking forward to her next film in the future.